Instantly manage logs from 2 servers... or 2,000. Get a flight data recorder for your system & apps. No credit card required. All app logs, text log files, and syslog. One place. It's realtime. Use a browser, command-line, or API. 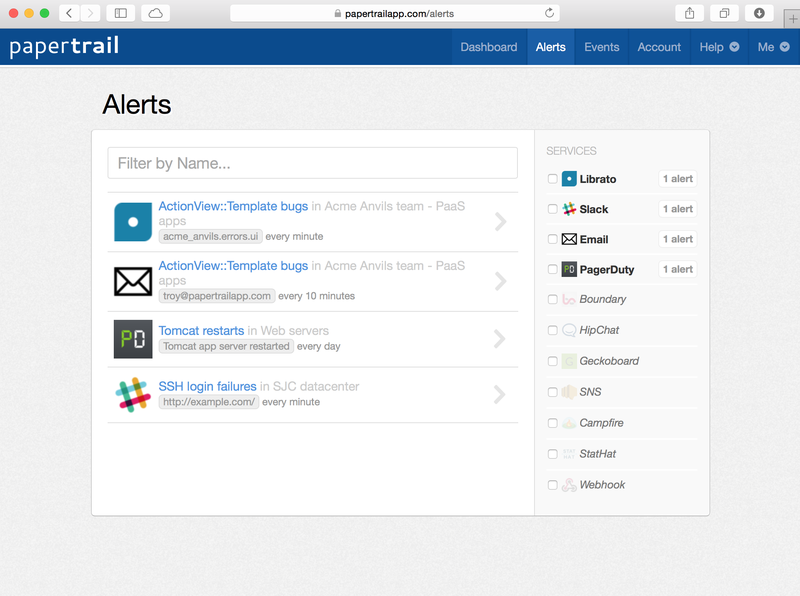 Get alerted instantly. Detect trends and archive. Search hours of logs typically in seconds. Easy to implement, use & understand. Get visibility across all systems, typically in minutes. Work with common, powerful existing services. Less technical staff can view logs without any SSH/RDP knowledge or access. Troubleshoot a spike in the last 10 minutes or spot trends over the last two weeks. I'm having way too much fun with @papertrailapp! This is seriously making my life a lot easier! If you need to offload your logs to a remote location, go and use @papertrailapp. Perfect example of a tool that does one thing very well. 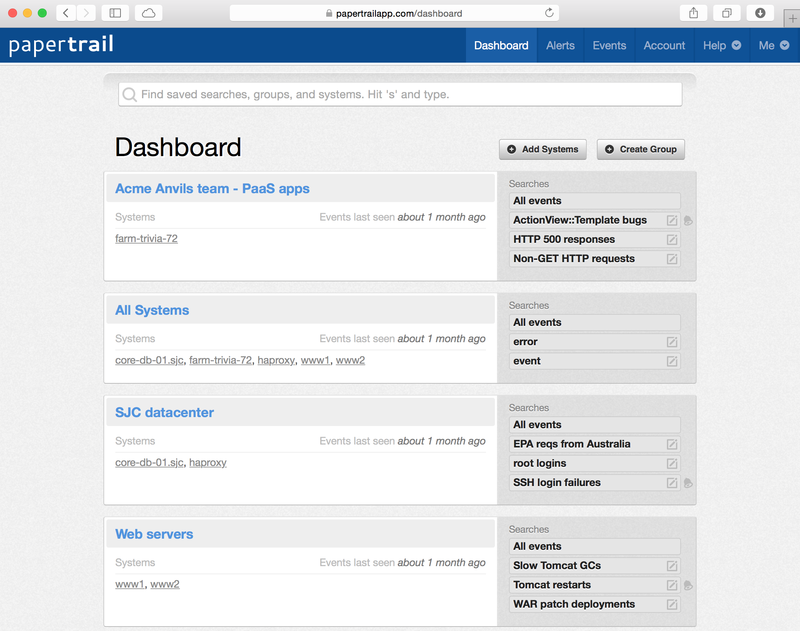 Last week we hooked up our app to @papertrailapp via @heroku. Super happy with it. Thanks for developing an awesome product! .. and many more. No more digging through a dozen log files and directories. Get free log management now, take a tour, or ask us a question.